Coming home feels better than ever at Las Brisas Apartments in San Antonio, Texas. 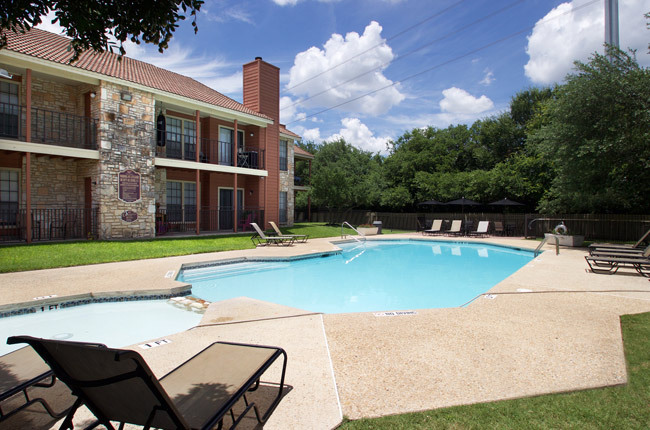 A warm, inviting atmosphere is what we strive for in our community, which is why we provide an outdoor swimming pool, as well as tennis and basketball courts. Our floor plans feature great accents in select floor plans, such as cozy fireplaces, vaulted ceiling, as well as breakfast bars. We strive to provide residents with a tranquil lifestyle wrapped inside a central location. Our community enjoys having nature as our neighbor, nestled between Phil Hardberger Park and Walker Ranch Park. Surrounded by flourishing trees, Las Brisas Apartments never lacks tranquility, and enjoying the scenery couldn’t be easier with nearby jogging and bike trails. Our location near Interstates 10 and 410 as well as Highway 281 makes commuting a breeze. We also are a mere 10 minute drive from San Antonio International Airport.